Video Content plays a prominent role in video marketing. People From various industries consider Video as a medium for storytelling. Video brings good Leeds to your business, many business organisations have already proven how a Video plays a crucial role in their business. Social video is a Digitized video meant to share on different social media networks. Social Video content works well in real time Social Video Marketing. 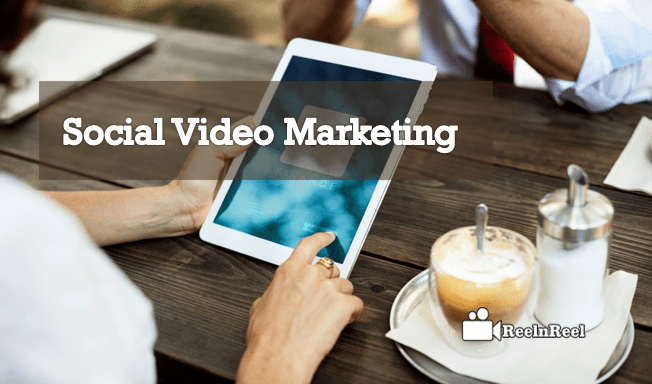 Why is the social video the key to online marketing? How to go effectively with social video? Social video plays an important role reaching the audience in a better way. Video has an important power to reach the goals. The first thing you need to understand is the digital space you are working with and especially on the optimization of social video basing on the social media channel you are selected. Social media platforms like snap chat, Facebook, Instagram, and Twitter have their platform features. They mainly focus on the social sharing. People are more interested in watching the social videos. More than 75 percent millennials are watching social video on their mobile devices and laptops. Social networks always like to have rich content that engages the audience. Instead of 140 characters text, they encourage publishing a 30-second long video. Your competitors will leverage the social video as they are getting a good rate of engagement and boosting their social media presence. 70 percent traffic on the internet is coming from video. All these above statistics reveal the importance of the social video in the present scenario of social video marketing. Every social media platform is unique in its way with different unique features for differentiation. You need to build an effective strategic plan for every platform you target with your social video strategy. A single strategy for multiple platforms will not work well and can’t fit. So, define your unique strategic plan. Plan with time and date and ensure publishing without crossing the exact schedule. If a particular platform is allowing only 30 seconds video post, then plan your video in 30 seconds for better conveying your message to the audience. Deliver the quality video content with good audio and visuals. A simple, short and creative video content will catch the audience attention in one shot. So, create quality videos to engage the audience in a right way. Many social platforms like Facebook, YouTube are offering the demographic targeting. So, utilize the demographic and location targeting features in your social video. Post content that is useful to the audience. It must also convey your brand message and make the audience decisive towards your product purchase. Design good product specific videos. However, don’t to advertise on your own. Make that product specific video helpful to the people. Add some humor to your videos as people love watching videos that are entertaining and knowledgeable. Q & A videos are the best way to build interactions with the audience. Ask the audience to suggest and ask questions they have raised in their mind about your services or products. Answer them politely and share the concerned material you would like to share with your audience in clarifying their questions and doubts. Social video contests work well in real time. The audience will feel the real time experience in connecting with a business. So, make it more interesting and offer something free of cost and grab the customers towards your brand. Offering something valuable can bring more impact on your brand or business online. Especially on social media platforms, people love to engage with the interesting contents and like to get some free stuff as well as they will become loyal to your business or brand. It will also boost the word of mouth advertising. Follow the above social video process and get started with social video marketing and advertising online.The above Content is an ultimate guide for how a Small Business Owners using Social Video marketing in their Business.